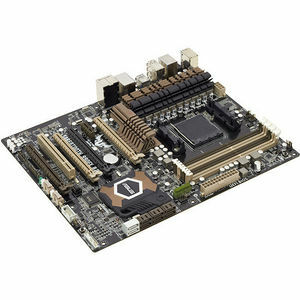 This motherboard supports latest AMD® Socket AM3+ multi-core processors with up to 8-core native CPU cores and delivers better overclocking capabilities with less power consumption. It features AMD Turbo CORE Technology 2.0 and accelerates data transfer rate up to 5200MT/s via HyperTransport™ 3.0 based system bus. This motherboard also supports AMD® CPUs in the new 32nm manufacturing process.